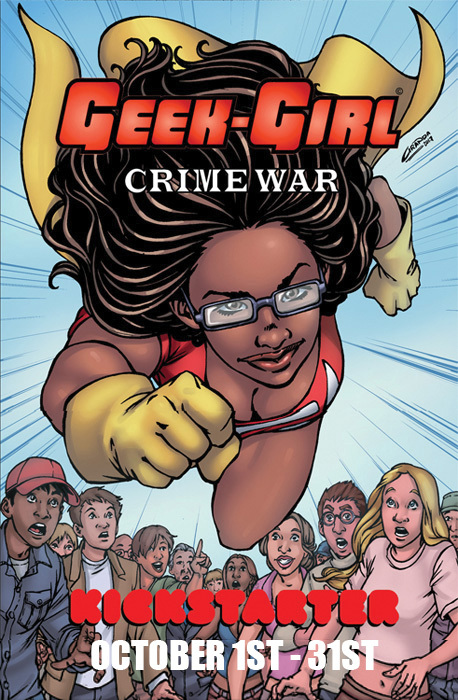 Here at So Wizard we’ve had the opportunity to get multiple press copies of Geek Girl comic books. To help promote this book and the talent behind it we are publishing the following press release as it was sent to us. If you’re a fan of the series and are in a position to help out, check out their kickstarter. 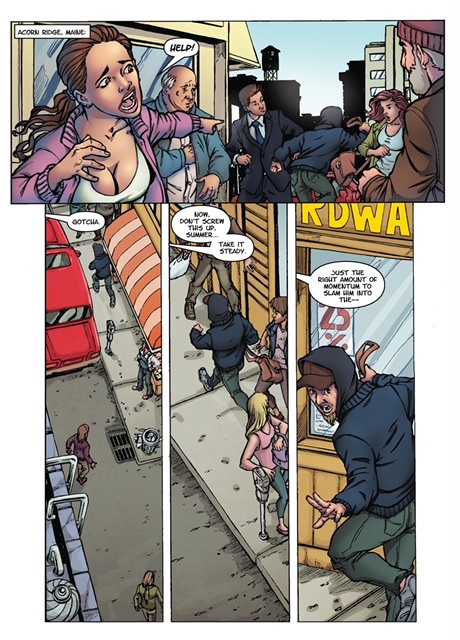 Written by Johnson, illustrated by Carlos Granda and colored by Chunlin Zhao, the Geek-Girl Kickstarter is live now, running up to the end of October. 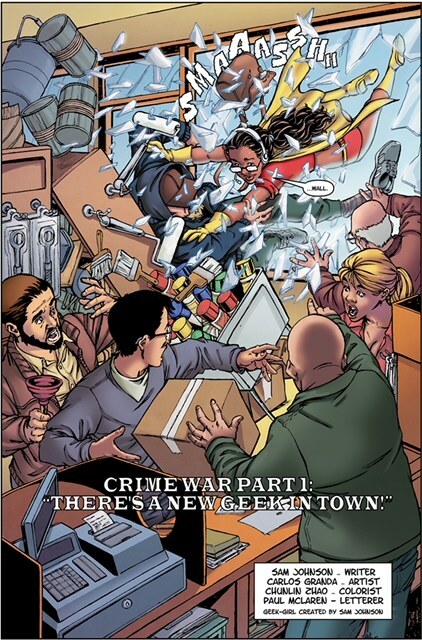 All 4 issues of the Crime War arc are available there, along with the previous Mini-Series and Kickstarter Exclusives! Support the Geek Girl Kickstarter! -Jose J. Becerra, Anything Geek Culture.